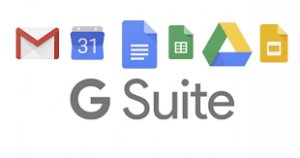 We are dedicated to consulting and implementing G Suite, everything you need to do your job better in a single package that works without problems from your computer, phone or tablet. The integrated package of Google, the fastest growing product, that are already using millions of companies around the world. All in one package, at the best price on the market. Savings in Costs. Fixed and very low cost per User. No software or hardware maintenance required. Access to all data anywhere, from any device, at all times. Greater security, data is never lost and 100% protected. Total flexibility to increase or decrease the number of Users..
Intuitive applications widely known by all Users. Support for Microsoft Office Office products. Open Platform that allows the integration with solutions to measure. Product Marketing Leader from Google. 1er. Certified by Google Partner since 2006. More than 500 Clients 100% Satisfied in more than 10 years of experience..